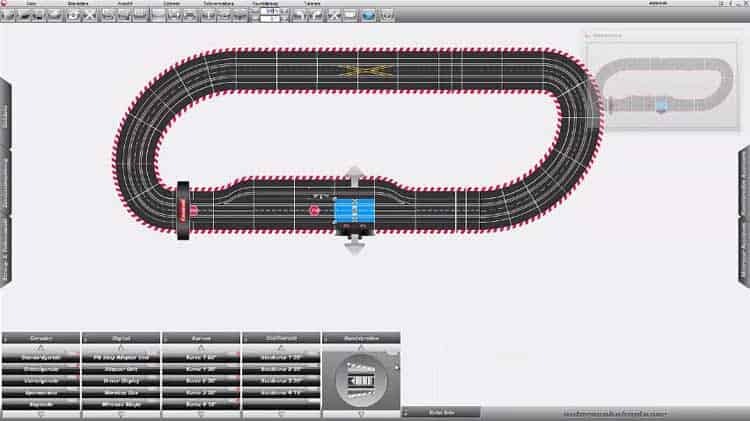 The Carrera Track Planner supports all the current Carrera slot car track systems. 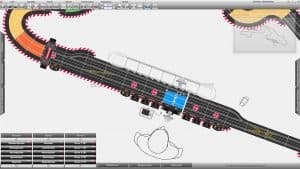 It features a room planning tool, grid overlay, automatic centering, free rotation, scrolling and zooming to allow the user complete control. There is over over an hour of tutorials available on their website to help you learn the software. 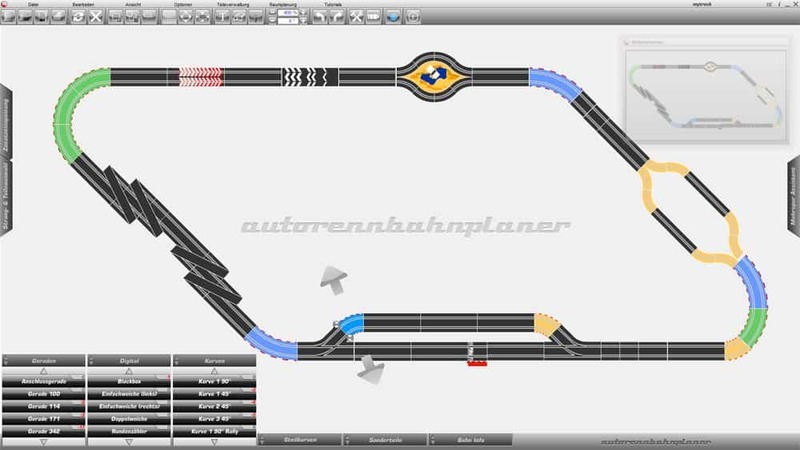 Autorennbahnplaner supports up to 8 lanes and can be placed independent of each other if desired. Individual lane length is displayed taking into consideration different curve radius and lane changers. 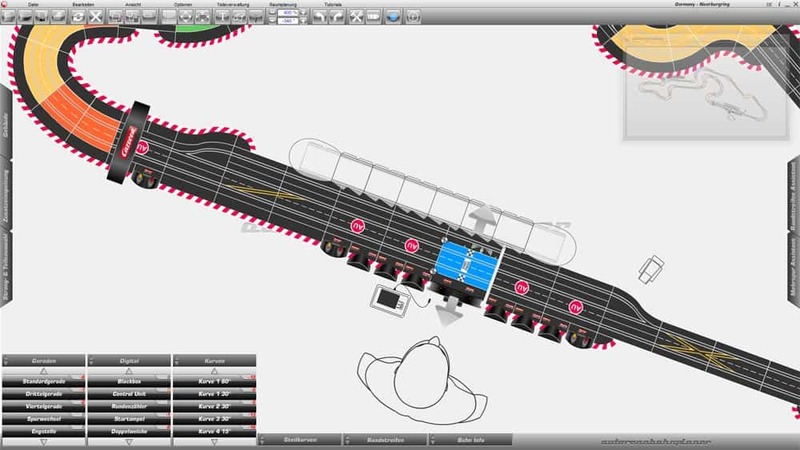 Color coding of parts and/or lanes is also featured. You can create a parts inventory and the software keeps track of what you have remaining and what you have used. 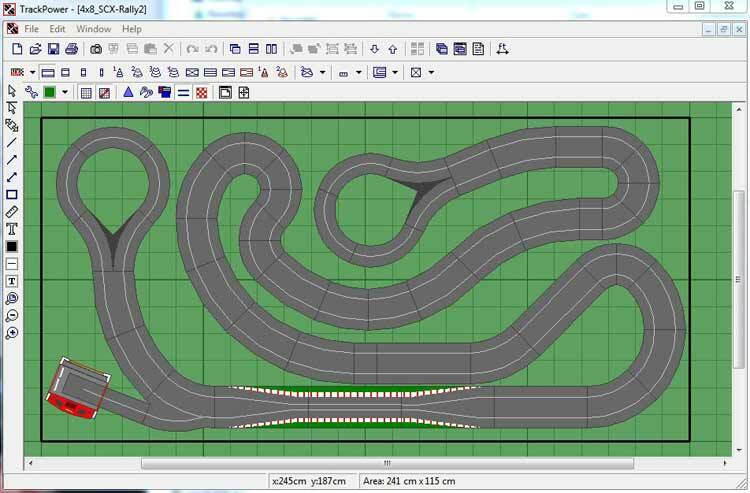 The Carrera Track Planner supports a screen resolution up to 2560 x 1600 pixels. 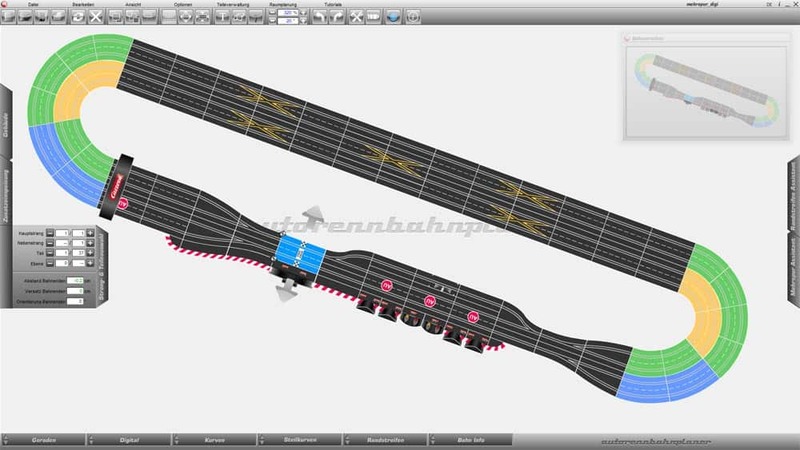 You can print the slot track layout, item list, or a screen shot if desired. Slot Track Supported: Carrera Digital 124, Digital 132, Exclusiv, Evolution, Digital 143, GO!! !